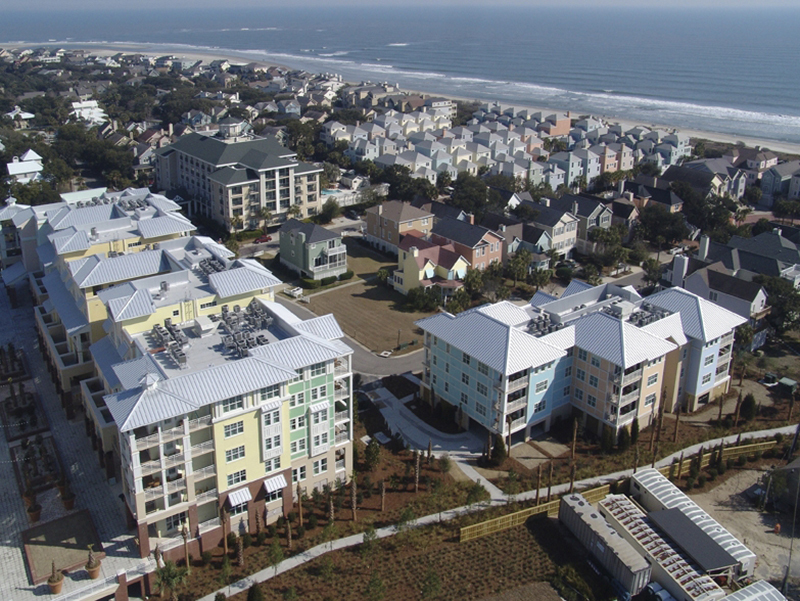 The Wild Dunes Resort Village complex consists of a new Conference Center and four new seven-story residential buildings. The Conference Center is two-story and uses a post tensioned slab base with a long span steel framed roof. The structure uses braced frames and shear walls for seismic resistance. The residential buildings are post tensioned concrete slabs bearing on concrete columns with concrete shear walls. The buildings bear on driven concrete piles. There are many steel framed features of the building. Seismic and wind resistance are provided through the reinforced concrete shear walls.